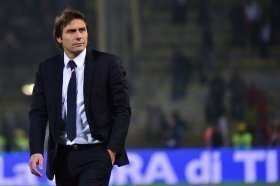 Conte on his way to Bayern Munich? Former Chelsea boss Antonio Conte could reportedly re-enter into club management with Bayern Munich when the current season comes to a close. Bayern have made a terrific turnaround under Niko Kovac to return to the top of the Bundesliga table ahead of Borussia Dortmund, but the hierarchy are still likely to consider a change at the helm.